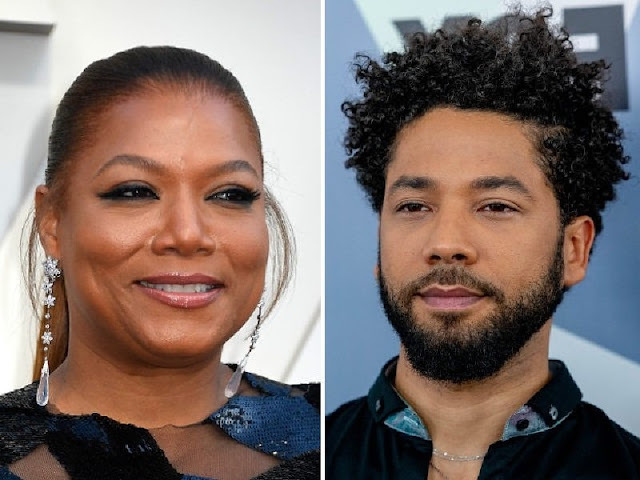 American rap goddess Queen Latifah has said she is standing with embattled “Empire” actor Jussie Smollett — until he is finally proven guilty. But Queen Latifah insisted: “The guy I’ve seen has always been someone who cares about people, who cares about others, and who’s very kind and who’s always been cool and sweet. Speaking to Yahoo! News, Queen Latifah — who once appeared on “Empire” in a crossover episode with her Fox show “STAR” — admitted: “I don’t even know what to make of it. Another star who shares Queen Latifah's sentiments is Tyler Perry. Perry said he is not ready to give up on Smollett just yet as the disgraced star is "adamant" he is completely innocent.